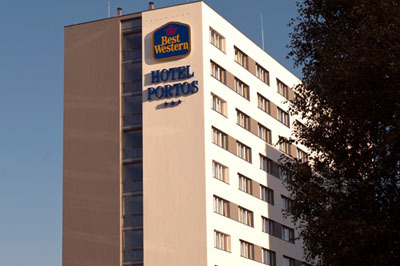 Best Western Hotel Portos *** is situated in the close proximity of The Skating Ring Stegny (the crossing of Sobieskiego and Witos Street). The favourable location enables an easy access with the city center, railway station and the Old Town. 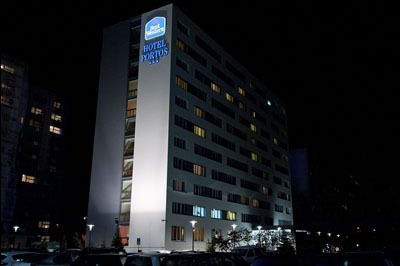 The Portos hotel features 231 rooms inlcuding comfort , Lux, and studio rooms. Rooms for the disabled and for non smokers are also available. All the rooms have a bathroom, radio, telephone, TV and the Lux rooms internet connection. Guests will enjoy the following facilities like internet access, drink bar, newsstand, safe at the reception, luggage room, ironing, fax, copy machine, secured car park. 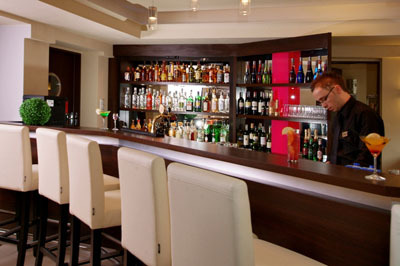 The restaurant with air conditioning cater for torist groups as well as occasional events. The buffet breakfast is served. There are 4 air conditioned conference rooms for up to 20 people and the busines room with internet connection. 116, 130, 148, 172, 422, 501, 519, E-2. We follow straight Zwirki i Wigury street. Once we reach the crossing (the viaduct visible) from Hynka street (just opposite is McDonald"s Restaurant) and we turn right. We follow straight, passing by the shopping center Mokotow Gallery. We move ahead the crossing with Pulawska street and continue down Wilanowska Avenue until we reach the crossing with Al. Gen. Sikorskiego and we turn left on the illumination signs. Just behind the fuel station Shell (on the right side), on the illumination signs, we turn right into Sobieskiego Street. On the first illumination signs - behind the Opel salon we turn right into Mangalia street and we reach the entrance to to the hotel car park. 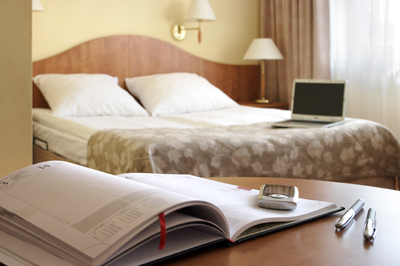 There are 231 rooms of a different standard in the Portos hotel. Depending on you financial resources you can choose between single, double and triple rooms of COMFORT, LUX or STUDIO type. 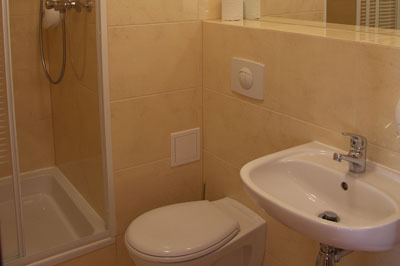 All the rooms are equipped with bathrooms with a shower cabin and WC, telephone, radio and a TV-set. There are big balconies in some of the rooms. Apart from that the hotel has increased the number of LUX and STUDIO rooms. As a result of renovation, new comfortable bright and modern interiors have appeared. For a slightly higher price, instead of the COMFORT room you can choose the LUX room and enjoy the 2-stars standard along with the Internet access. Warm colors of the bright furniture, walls and carpets, and functional lamps compensate the higher price more than enough. If you are willing to book something even more comfortable you should choose the 30qm large STUDIO room, consisting of two separate rooms. One of them may be used as a working space and the other as a place when you relax in front of TV or reading newspaper. 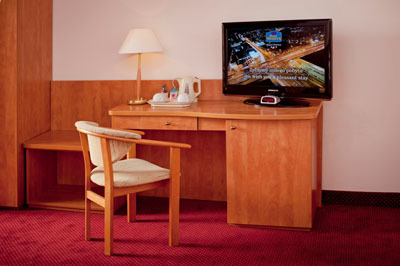 Additionally, the hotel offers separate rooms for non-smokers and 2 rooms prepared to meet the needs of the handicapped. The latter are large enough for the guests to move freely on the wheelchairs and are additionally equipped with the alarm system. Similarly to Aramis and Atos, there are four lifts bringing the guests to their rooms on the higher floors. They are not too big and make an impression of being quite old and used, but in spite of that fact, they are said to be completely safe. 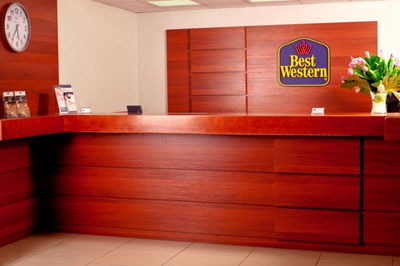 Buffet breakfast served in an air-conditioned restaurant is included in the price of the room. For smoking guests there are 23 rooms, the whole floor. All the other rooms are non smoking. 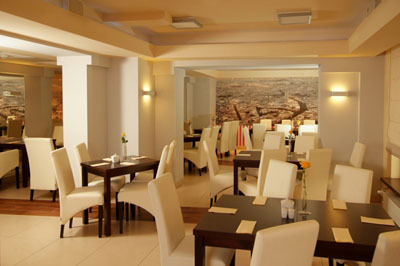 The kind hotel staff, acting according to the old Polish tradition of hospitality invites you to the hotel restaurant, which served meals from the Polish and international cuisine. The brown-beige interiors are prepared for up to 100 guests at a time. The décor of the five connected restaurant rooms is not very rich. First of all there is simplicity of arrangement, secondly the place is neat. It is not a place where you could spend hours drinking coffee and enjoying the atmosphere. Instead, you can have a really good meal for a decent price. The hotel cooks recommend Polish soups, especially the tomato soup, and traditional Polish pork chop or a kind of hamburger made of minced meat. An average price of a two-course dinner with something to drink and a piece of cake for dessert is 15-18 PLN (about 4 EURO).